Celebrations are certainly in order when it's somebody's birthday and this is the perfect gift to make them smile! 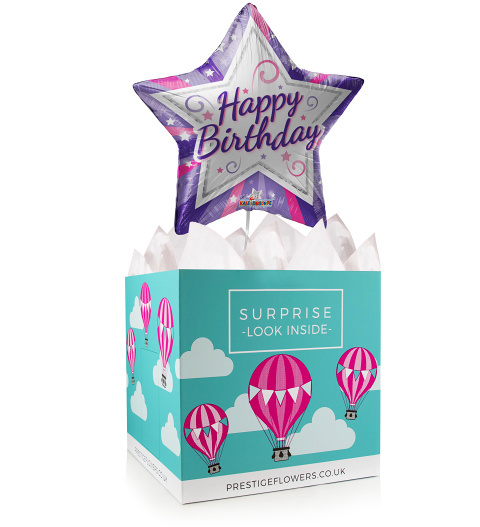 We have selected a bright 18-inch helium balloon as well as a lovely gift box lined with colourful tissue paper. Feel free to choose from optional extras such as chocolate, wine, a cuddly bear, or cake. Make it even more personal by including your very own message.